Horses are wise, old, souls. They don´t communicate in the conventional way most humans understand, but they do communicate in a way some special humans can understand. 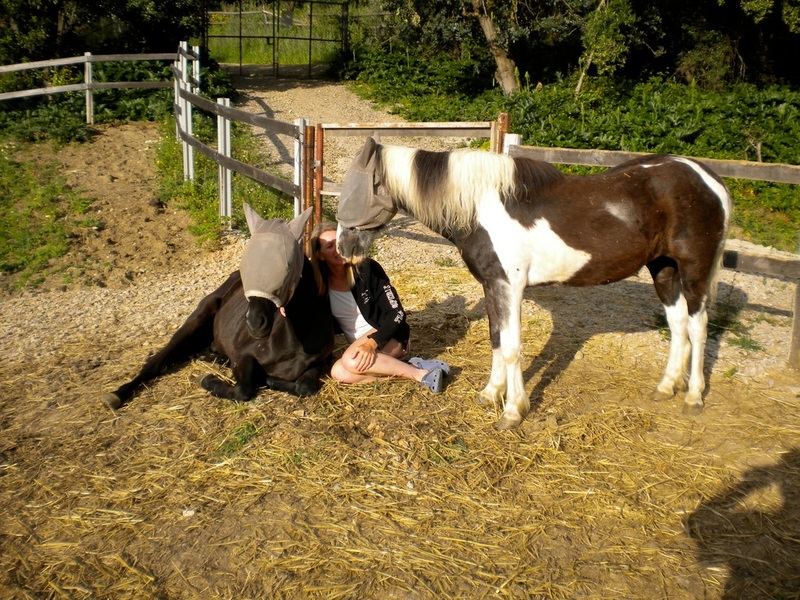 Just like Autistic people, horses see life in pictures, and they never forget! 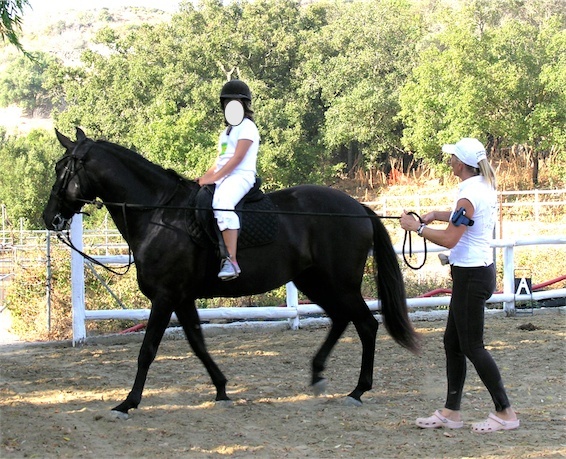 Both children and adults with learning challenges benefit from communicating with a horse. For some this can mean the chance for a feeling of independence in a relaxed setting, away from the usual standard clinical therapies. 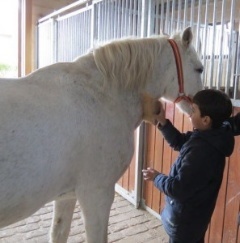 Autistic children have been known to speak their first words or phrases from the warmth of a horses back. The relaxed rhythm in which they move is perfect for children with physical challenges to assist in gaining balance and dexterity, improving circulation and muscle strength. For some, simply breathing in the sweet breath of a horse or feeling their soft coat is all the therapy they require. We offer therapeutic horse back sessions tailored very much to the individual, which will include relevant therapists or nurses, therefore private enquiries are necessary, along with a substantial amount of information regarding the person who wishes to benefit from the time with our horses. The therapy appears more like play, whilst besides the previously mentioned also, self-esteem, self-image and social skills are greatly improved. We always assure a continuity, knowing how important that is to the child or adult with learning challenges and highly recommend a block booking after an initial trial session. This being in order to assure the same people and horse (should the person express a preference) is available for each and every one of their sessions. Hippotherapy has been proven of extraordinary help in delaying or even stopping the onset of Alzheimer. People of the 3rd age, are mentally and physically much more able when they reach retirement age, and continue to enjoy a healthy life thanks to equine assisted therapy. Attending regularly avoids loneliness, improving inter-relational and inter-generation skills, keeps muscles toned and corrects posture, stimulates to improve pulmonary health as well as spacial orientation. The benefits are endless.